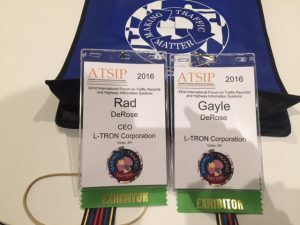 L-Tron team members Charlie & Julianne are headed to the 2017 ATSIP Forum (the Association of Transportation Safety Information Professionals) next week. ATSIP exists to “further the development and sharing of traffic records system procedures, tools and professionalism.” The nonprofit has evolved with technology and the times, and has adapted to the changing needs of the association. 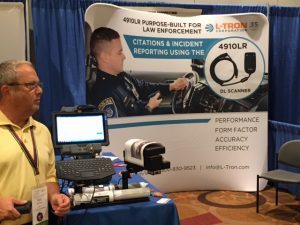 Stop by L-Tron’s booth to learn about eCitation with our 4910LR DL Reader and see a demonstration of how police departments can use the OSCR360 Solution for crash scenes. 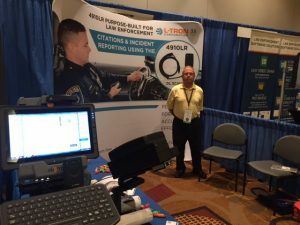 OSCR360 allows Officers to bring the evidence from the scene of an accident to life, and to show their audience (judges, insurance companies, fellow Law Enforcement officials) the same story. Get off the curb and back on patrol faster with purpose-built solutions to keep you safe and reduce your time at traffic stops and incidents. The L-Tron team will be at booth 310. Stop by and say hello! 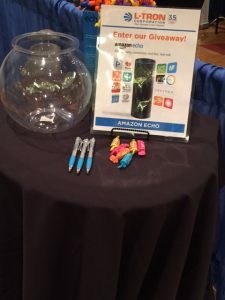 We will be raffling off an Amazon Echo, as well as a monitor for anyone specifically interested in testing or seeing a demo of our OSCR360 Solution. Check out some pictures from the 2016 conference below.